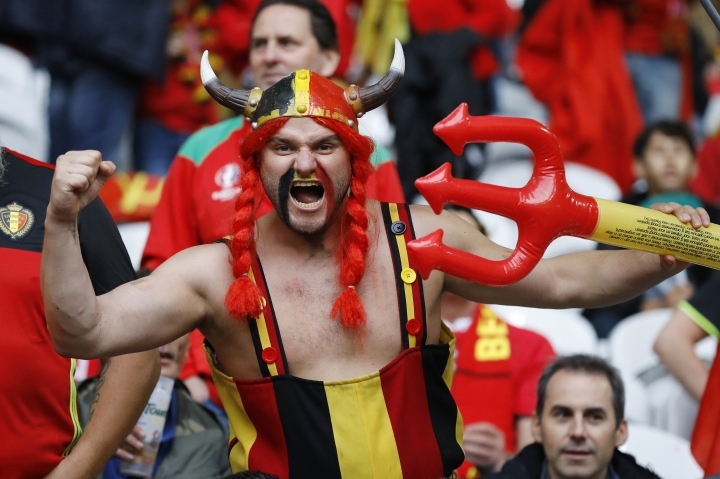 BRUSSELS — Belgium's government on Thursday urged the Belgian soccer federation to change its mind and not choose a rapper known for lacing his songs with obscene and misogynistic lyrics to produce its official World Cup song. Belgian vice premier Alexander De Croo told Parliament on International Women's Day that the Royal Belgian Football Association was wrong to maintain its defense of rapper Damso and should "choose a role model that inspires, not one that discriminates." De Croo was reacting to a statement from the federation saying it did not want to be taken "hostage" by pro-women groups like the umbrella Women's Council group, which said it is unacceptable that an artist using degrading lyrics could be picked to produce what should be a unifying song for the country. In its statement, the federation said the Women's Council had started the polemic against the federation soon after the artist's choice was made in November. But De Croo told legislators that "Instead of tackling the Women's Council, it should be logical that the football federation says it was wrong." Damso has said that his songs are more complicated that the denigrating terms imply and accused the media of unduly centering on him. "If they would use all their media powers to promote many Belgian artists instead of criticizing one, Belgium would not be the same anymore," he wrote on his Twitter feed. De Croo said the lyrics depicted women "as lust objects, even more like disposable products." Belgium has not yet released its World Cup song. Sponsors of the team, including Telecom giant Proximus, criticized its decision. "Football is the sport for unity and to choose something like this which causes such a rift in society is a major worry for us," Florence Bribosia of the Belgian construction multinational Besix told The Associated Press. "We stand for values," said Peter Dercon of brewing giant AB Inbev. He did not say what action could be taken. Many said the rapper's vulgar language in previous songs deserved criticism. "As a federation, how can you defend this in front of your sponsors, and especially families and women? Even men," Equal Opportunities State Secretary Zuhal Demir wrote, before adding some of Damso's most criticized lyrics on her Facebook page. The Women's Council has vowed that it will take further action. In an open letter to 13 sponsors, it said it was "unacceptable" someone like Damso would become "the official standard bearer of our country. What does this say about our society? That we don't have any problems with hate speech toward half of humanity?" If the federation fails to change its mind, the coalition said it would lodge a complaint with the Belgian equal rights office. De Croo said the federation should be wise enough to end the cooperation itself.